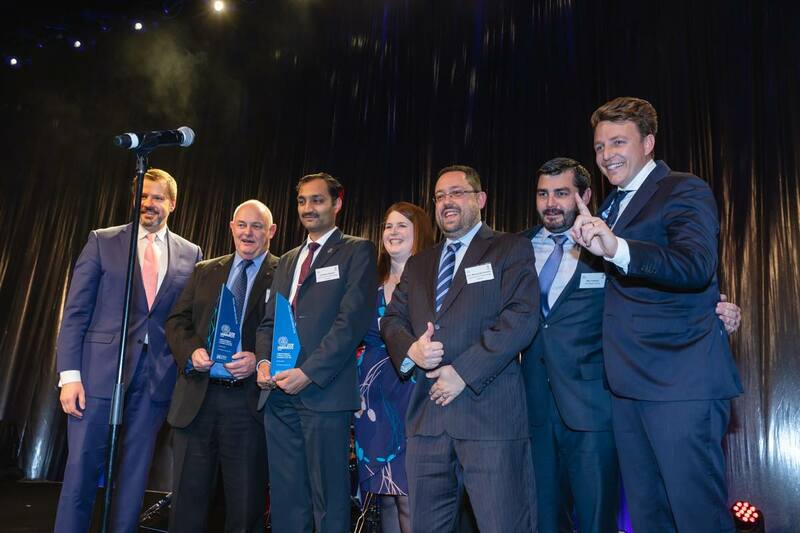 The Ripper Group and University of Technology Sydney(UTS) in a highly successful collaborative partnership have done the top award in Melbourne this week for the National Award for the iAwards Artificial Intelligence or Machine Learning Innovation of the Year. This was for the Westpac Little Ripper Lifesaver and SharkSpotter© AI algorithm which was developed collaboratively with University of Technology, Sydney. It follows on from the three category wins at the NSW State Awards recently. This means that we will now represent Australia in this category at the international awards in Guangzhou, China, from 9 to 13 October 2018. This comes hot on the heels, of the Westpac Little Ripper Lifesaver drone executing the world’s first surf rescue by a drone in January 18, this year when two young men got swept out to sea at Lennox Head and the Westpac Little Ripper drone was deployed to drop it’s SOS marine pod to the boys. The SOS marine pod inflated on contact with the water, and the two boys hung onto the inflatable device and were pushed safely to shore by the wave action. University of Technology Sydney’s (UTS) Dr Nabin Sharma, said “SharkSpotter© automated system for detection and identification of sharks in particular, and marine life/objects more generally, uses cutting edge deep learning neural networks and image processing techniques for object recognition and classification,” said Dr Nabin Sharma, UTS School of Software. Deep learning algorithms and image processing techniques examine live video feeds from the drones to detect the presence of sharks and their potential threat to water users. The system has 90 per cent accuracy in detecting sharks, distinguishing between them and 16 other categories of marine life such as dolphins, rays and whales and can identify surfers, swimmers, boats, human beings and other objects in the water. This visual information is relayed immediately for interpretation to emergency services, beach lifeguards, and water users for appropriate decision-making. “SharkSpotter© is an example of how an AI application assists humans as it has significantly higher rates of visual accuracy in shark detection at @90 per cent. At this level of accuracy the drone will certainly help us to improve detection rates, and to maintain safer conditions for water users,” he said.